New statistics show a growing number of homeowners are no longer upside down on their mortgages. Good news for homeowners, especially those looking to sell. Statistics recently released by the Federal Reserve and CoreLogic show that over 4 million homeowners once again saw positive equity in their property values last year. This is a big sigh of relief, especially for those struggling to hold onto their homes. The Federal Reserve’s quarterly “Flow of Funds” report showed that homeowner equity climbed to its highest point in eight years, while the study conducted by CoreLogic showed an impressive shrinkage of “underwater” mortgages (IE: A mortgage value that’s actually higher than the Fair Market Value of the property itself). at 12.6%, California leads the way in overall lowest number of underwater mortgages than the national average of 13.3%. Many non-coastal communities in California suffered serious falloff of home prices during the Great Recession, so this is especially good news for homeowners hoping to recoup those losses. How does this information affect the Santa Clarita Real Estate market? As with any good news from the real estate community, this could help tip the balance in our critically low residential resale market here in Santa Clarita. 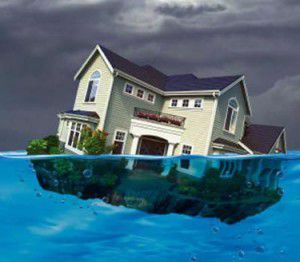 Many homeowners “waited out the market” and held on to their properties despite being upside down on their home loans. What we’re hoping with the increase in equity is to see more homes on the market; both from formerly distressed homeowners looking to downsize, as well as those looking to upsize or simply cash in on the market. Either way, this is an incredibly positive sign for our continually recovering real estate market. How do I know if this is a good time to sell my home? First and foremost, the decision to sell your home should begin with planning your wants and needs. One thing that can help you make that decision is to understand the current Fair Market Value (FMV) of your property. We can easily do this by providing you with a no obligation Comparative Market Analysis, and discuss in detail at what price you may get for your home. Qualified buyers are out there looking for homes just like yours. Interest rates are still incredibly low, which is helping to perpetuate this amazing real estate market recovery. Call or email us with your questions and to find out exactly how much your home is worth.